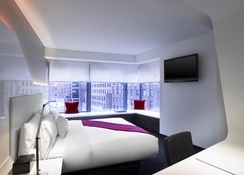 W New York Downtown’s premier location will let you feel the pulse of New York City. It is just a few minutes’ drive away from several of New York’s attractions including New York Stock Exchange, Statue of Liberty, World Trade Centre. 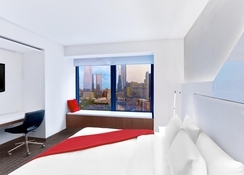 The rooms and suites in the hotel are white, bright, spacious and come in numerous categories. Those who want to stay in shape can utilise the fitness facilities at the hotel. The staff members in the hotel are professional and friendly, which sets this hotel apart from other in the same region. There are numerous bars, restaurants and shops within close proximity to the hotel. 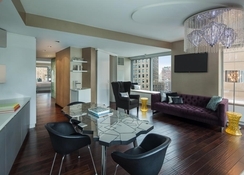 W New York Downtown is conveniently situated in Downtown New York. Its central location makes it possible for guests to pay a visit to numerous attractions. The JFK International Airport is about 38km from the hotel, making it convenient for the guests to board their flights on time. 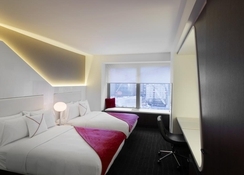 The hotel offers 214 guestrooms and three suites to its guests. They are absolutely stunning and are categorised as Wonderful King, Spectacular King, Spectacular Double, Cool Corner King, Ultra Cool King, Fabulous King, Fabulous Double, WOW Suite and Extreme WOW Suite. All rooms have the necessary amenities to make you feel at home. Some of the amenities in the rooms include flat screen TV, telephone, double bed, hair dryer among many more. 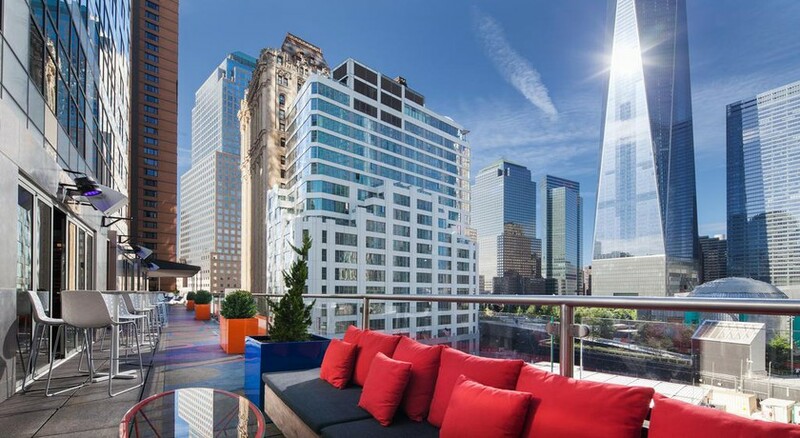 The hotel features a rooftop bar, where you can sip on delicious cocktails while enjoying pleasant views of the city. The hotel’s professional and friendly staff members help in giving you suggestions and recommendations for the best food and drink combinations. There’s also the in-room service provided by the hotel, allowing guests to enjoy meals in the comfort of their rooms. This is the best place to stay if you are a fitness enthusiast, as the hotel houses a state of the art fitness centre with expert trainers and the latest in cardiovascular equipment. A fascinating aspect of the fitness centre is that it is open 24 hours! Other than this, the hotel organises yoga classes and bootcamp sessions instructed by NYC’s best fitness professionals. There are numerous sport clubs and theatres within close proximity to the hotel. When it comes to nightly entertainment the hotel is one of the best in New York.